Windows 7 is designed for networking and working with the Internet, so when your network connection isn’t working, it can be particularly frustrating. 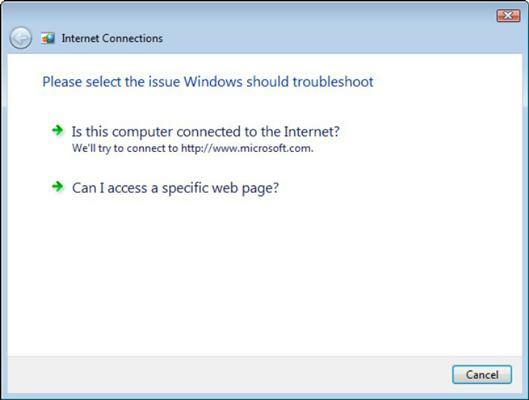 Fortunately, Windows 7 comes with a built-in troubleshooter that you can use to repair a broken network connection. Click the link for the type of network connection that has been - usually internet or network adapter. 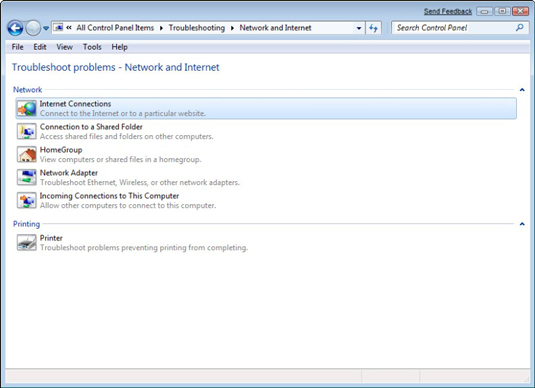 When the solution is found, close the Network troubleshooting guide.